Florida argues that an increase in water consumption by Georgia, including in the Atlanta area, since the 1970s is “effectively strangling the Apalachicola region. The U.S. Supreme Court will hear oral arguments Monday in a decades-old legal fight between Florida and Georgia over water flow into the Apalachicola River. A court-appointed special master ruled in February that Florida had not proved its case that a water-usage cap should be imposed on Georgia to help the river and Apalachicola Bay, one of the most productive estuaries in the country, known particularly for its oysters. Florida is asking for the case to be returned to the special master to develop a more "equitable" distribution of water between the states from the Apalachicola-Chattahoochee-Flint river system. In briefs filed with the court, Florida has argued that an increase in water consumption by Georgia, including in the Atlanta area, since the 1970s is "effectively strangling the Apalachicola region." "For decades, Florida has done everything it could to avert that result — and Georgia has fought it at every turn," a Florida brief said. "This litigation represents Florida's last opportunity to stem Georgia's inequitable consumption, and protect these irreplaceable natural resources, by apportioning the waters equitably between the states." In a brief asking the Supreme Court to uphold the special master's report, Georgia said Florida is asking for "dramatic and costly reductions in Georgia's upstream water use — cuts that threaten the water supply of 5 million people in metropolitan Atlanta and risk crippling a multibillion-dollar agricultural sector in southwest Georgia." Georgia has argued that even if the court ordered a new water-distribution plan, it wouldn't guarantee that Florida would receive more water, since water flow is controlled by the U.S. Army Corps of Engineers through a series of reservoirs and dams in the river system that, in effect, control "the spigot at the state line." In his report, Ralph Lancaster, a Portland, Maine, lawyer who served as the special master in the case, said that because the Corps was not a party in lawsuit, it meant that a court ruling could not "assure Florida the relief it seeks." But citing subsequent comments from the Corps, Florida said the federal agency would adjust its water policies in the Apalachicola-Chattahoochee-Flint river system based on the court's decision. "It is at the very least reasonable to predict that the Corps would respond to an equitable apportionment by this court just as one would expect — by adjusting its operations to effectuate that decree consistent with this court's decision and other applicable law," Florida said in a brief. A key legal issue before the Supreme Court is Lancaster's finding that Florida failed to prove "by clear and convincing evidence" that imposing a cap on Georgia's water use "would provide a material benefit to Florida." In its briefs, Florida said it has provided evidence that Georgia's water usage has damaged the Apalachicola River system. It cited Lancaster's finding that "real harm" was occurring from decreased water flow into the system and from Georgia's "largely unrestrained" agricultural water use. But Florida's lawyers argued that Lancaster erred in further applying the "clear and convincing" evidence standard to the yet-to-be-determined water redistribution plan. "Never before has this court found both injury and inequitable conduct (as the special master did here) and yet held that the court is powerless to do anything about it," Florida said in a brief. Georgia said Lancaster was following precedents set in other multi-state water disputes and that he "correctly held Florida to the exacting burden of proof that this court has imposed on states seeking to upend the status quo at the expense of a coequal sovereign." Georgia's position was supported by Colorado, which filed a friend-of-the-court brief raising concerns that a court ruling in the case could impact water agreements in the western portion of the country. "The court has consistently made clear that the complaining state faces a heavy burden to prove both its injury and its right to relief by clear and convincing evidence," Colorado said in its brief. "This court has never held, as Florida suggests, that the burden decreases, or `the equation changes,' after a complaining state has proven only part of its case, namely, an alleged injury." 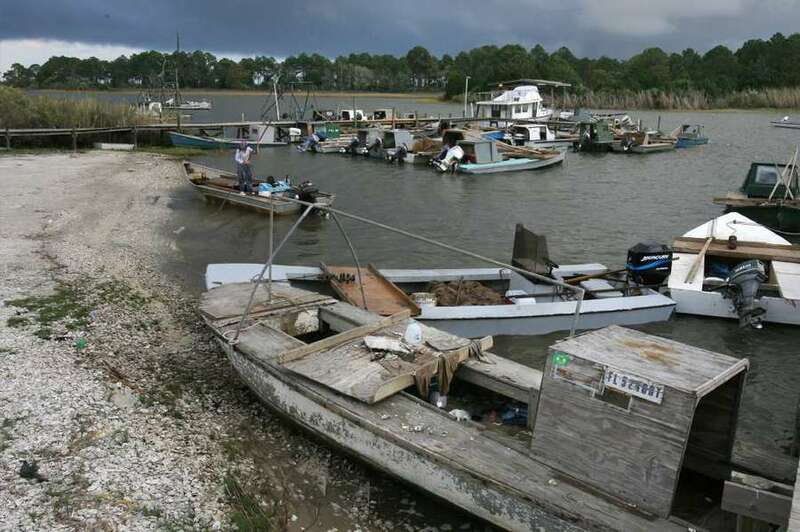 The Supreme Court case is the result of a lawsuit filed by Florida in 2013 after the collapse in the prior year of the Apalachicola oyster industry, which normally supplies 90 percent of the oysters in Florida and 10 percent of the nation's oysters. But the fight between the states over water flow in the Apalachicola-Chattahoochee-Flint river system has gone on for decades, leaving officials in both states bitterly divided over the issue and resulting in costly litigation. Last spring, the Florida House Appropriations Committee estimated that Florida had spent some $72 million in legal fees in the fight from 2001 to early 2016.